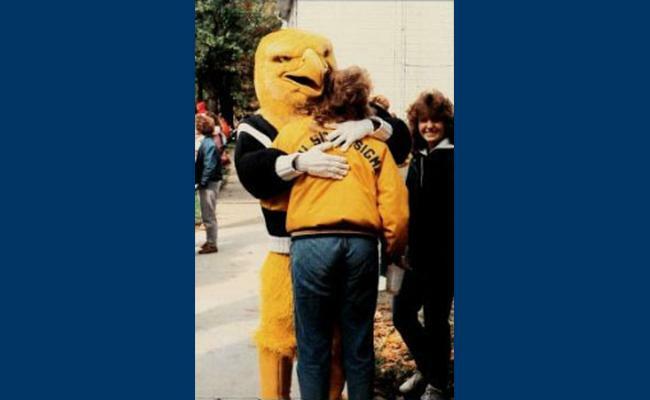 Ernie the Eagle is Clarion University's Golden Eagle mascot, who hatched in 1979. He's had many makeovers throughout the years to become the buff specimen you see today. 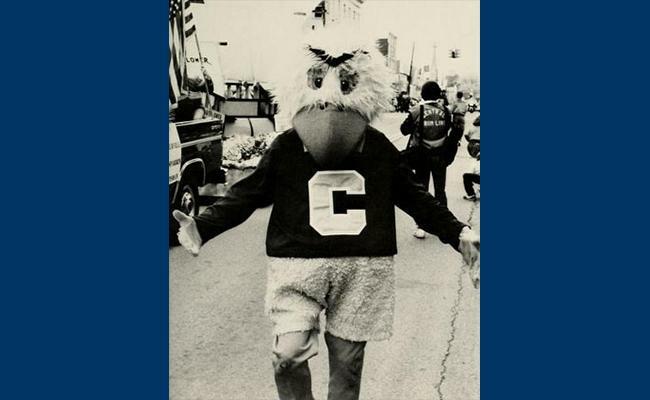 He proudly makes his nest on the edge of town at an undisclosed location near Memorial Stadium. 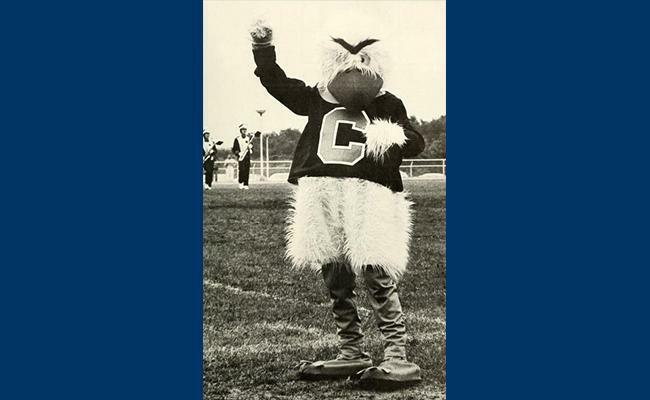 He used to live in the bell tower near Carlson Library, but too many people were knocking on his nest for autographs. 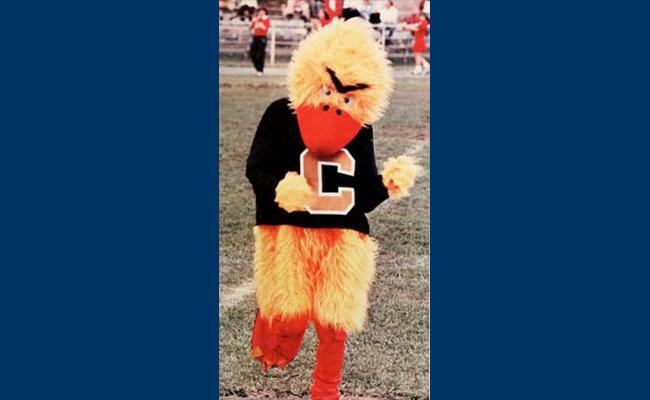 You can see him strutting his stuff all over campus and at Clarion University sporting events. 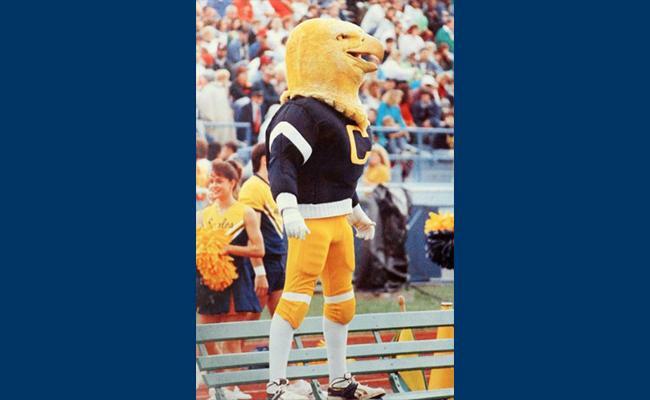 Ernie prides himself on being the biggest Golden Eagles sports fan. 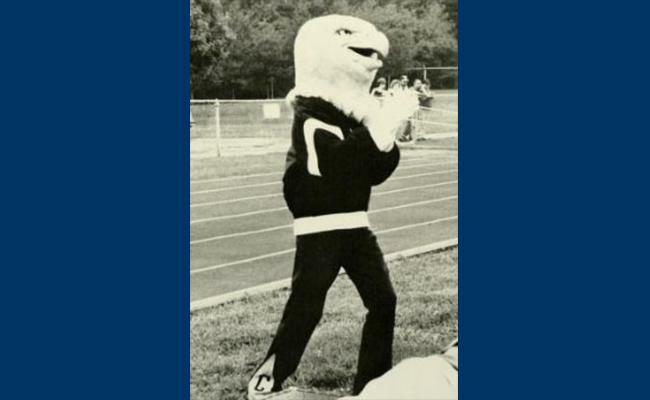 Like most Golden Eagles, Ernie is quite studious and recently earned a Bachelor of Science degree in our nutrition and fitness program and enjoys demonstrating his knowledge by working out at the Rec Center or eating healthy foods at Eagle Commons. That's not to say Ernie won't occasionally enjoy a treat from the Cheese O' Man truck or a Poor Man's Caramel Apple at the yearly Autumn Leaf Festival. 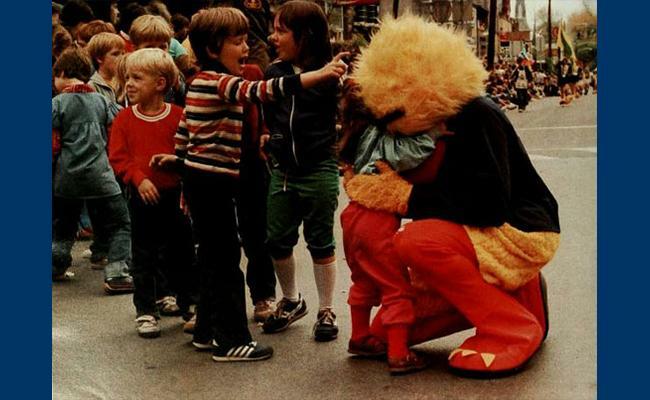 He's also been known to cut a rug and has starred in a couple of dance videos like the "Harlem Shake" and "Happy." Just don't make fun of his past styles like when he resembled a chicken or the time when his bottom feathers looked like sweat pants. He promises those looks were in-style then. 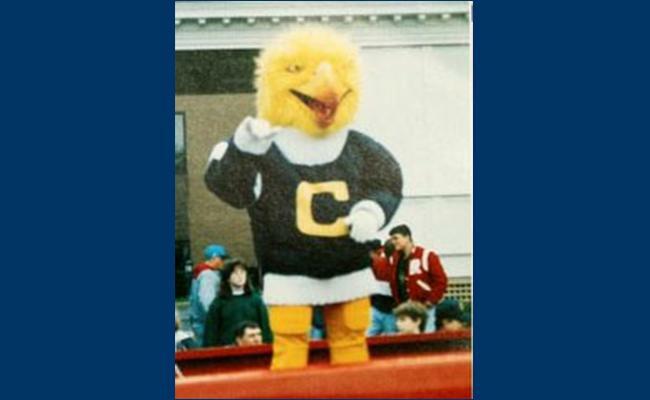 Some of Ernie's other hobbies include racing planes on Clarion County Airport runway and visiting his relatives along the Clarion River in Cook Forest. He also is a Steelers fan despite being distantly related to the Philadelphia Eagles mascot. 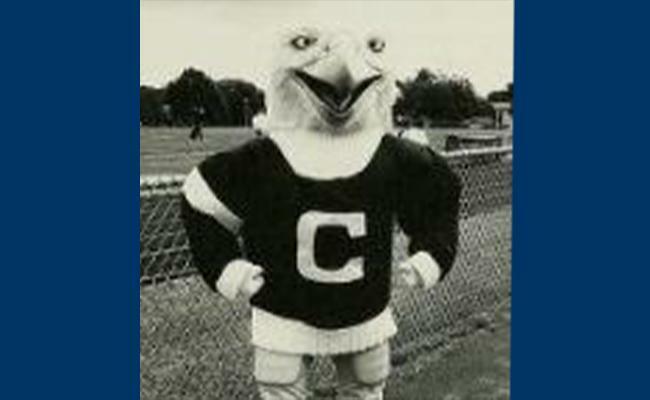 Ernie is available for Clarion University events by request, but be advised: He’s very popular. Appearances may be limited depending on the time of year.